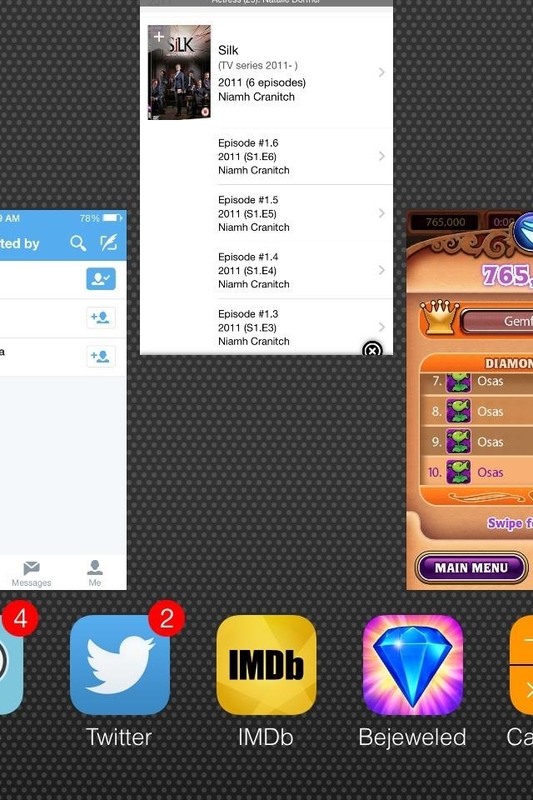 Apple baked multitasking and quick app switching into iOS back in 2010 with the launch of iOS 4, but the multitasking view changed in iOS 7 to show previews of the apps you have open. Unfortunately, this made swiping through open apps slower than before. 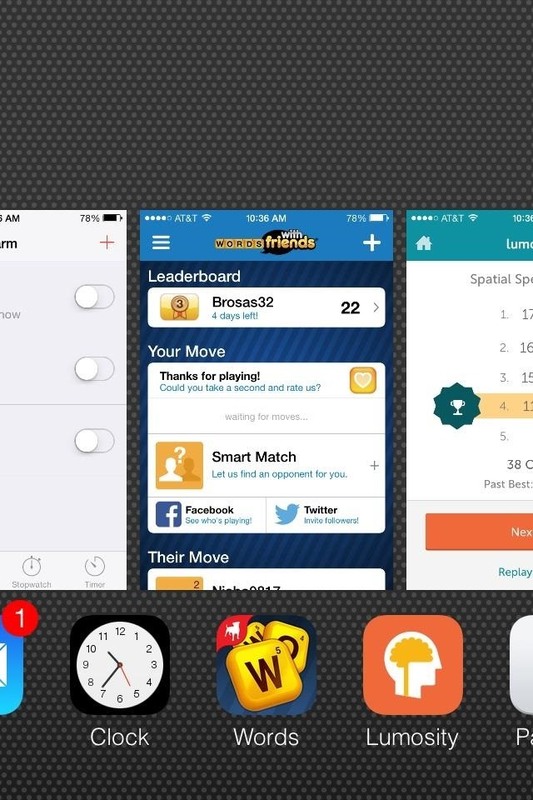 Now, double-pressing the Home button brings up all of your running apps in card-like previews. Tapping on a card switches you to the selected app, while sliding cards up and out of screen closes them. Now that there's a huge preview of the apps in this multitasking menu, you probably have a habit of scrolling through open apps by sliding your finger left of right on the card previews. But, if you want to scroll through all of your apps faster, you may be placing your finger in the wrong place. Instead of naturally placing your finger on the cards themselves, place your finger on the icon bar below and slide left or right, just like you were forced to do in previous iOS versions. This works in both iOS 7.0 and iOS 7.1. The motion changes the anchor for the Parallax scrolling effect to be based off of the icon list below instead of the preview list above, which makes it much much faster. See that speed difference? Yup, we're in the future indeed! And it feels even faster when you're viewing your multitasking menu in landscape mode (or on an iPad for that matter).